As with my Favorite Lizards and Favorite Snakes lists, I based my choices here on some arbitrary combination of beauty, size, interesting behavior, oddball-ness, and difficulty of observation. 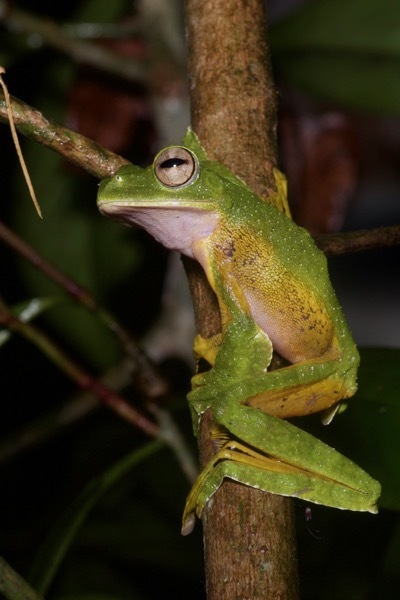 When threatened, this large, colorful treefrog leaps from its perch, then stretches out its feet and the extra fringe on its legs to glide to another tree. 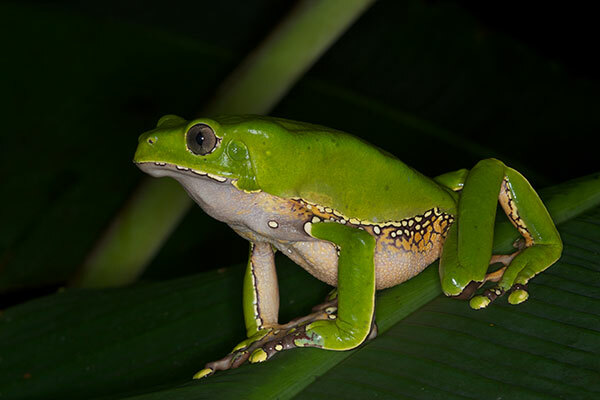 Sir Alfred Russel Wallace, co-discoverer of evolution by natural selection, described this frog to the English-speaking world in his classic work The Malay Archipelago. It's giant. 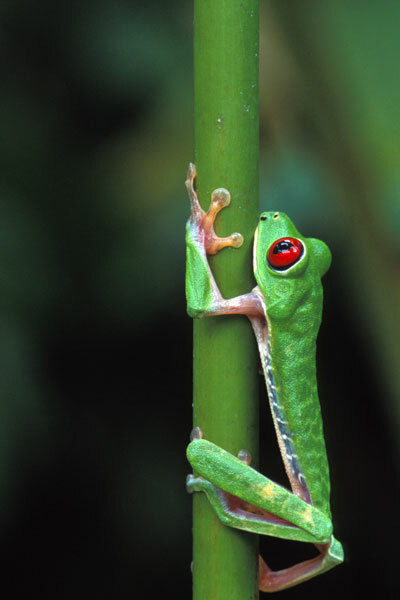 It's a monkey frog. What else do you need to know? 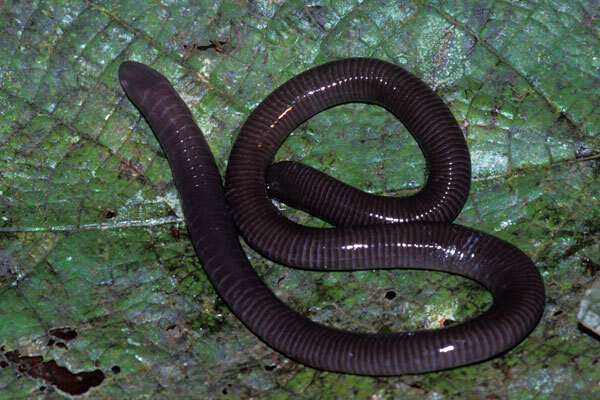 Caecilians are weird, exotic, and hard to find. This was the first one I ever saw, and for many years the only one. This tiny poison frog might be the most beautiful wild animal I've ever seen. But I had to look very closely, as it was no longer than one of my shorter fingernails. 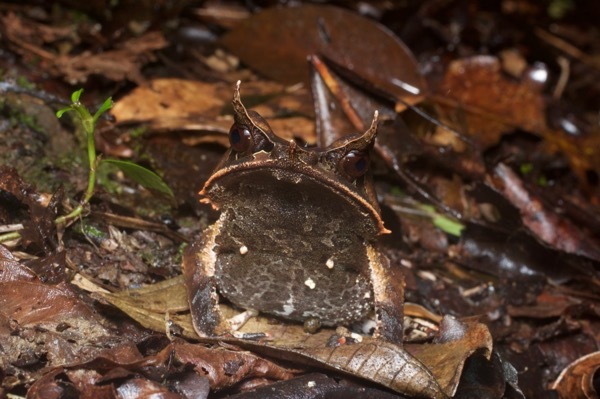 This grumpy-looking, ground-dwelling frog has amazing camouflage in the rainforest leaf litter of southeast Asia. Also, it is extremely funny-looking. The USA is chock full o' bigger, prettier, and faster-moving salamanders. 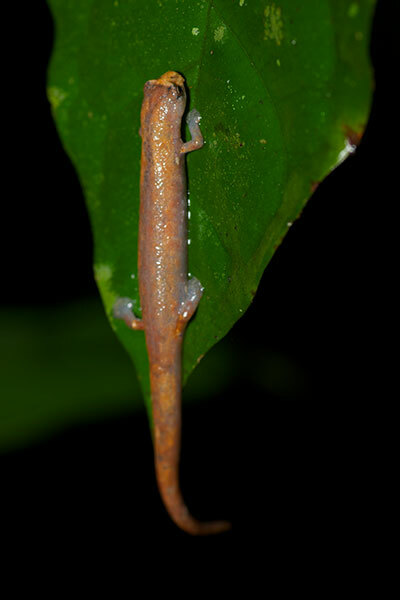 But there's nothing like the thrill of finding a little salamander patrolling a vertical leaf in the Amazon rainforest night. They are so cute! 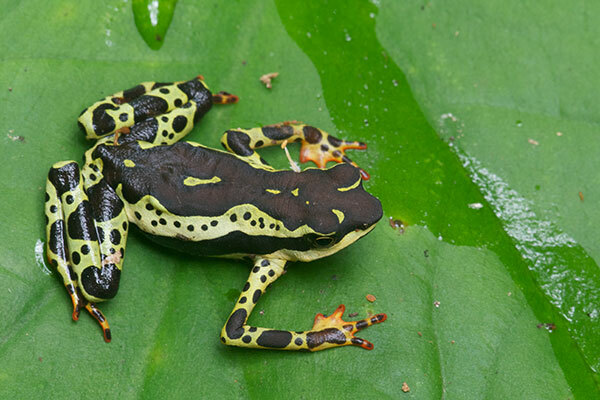 The advertising industry's favorite amphibian, and with good reason. They are reasonably common in Costa Rica, but still a thrill to see. 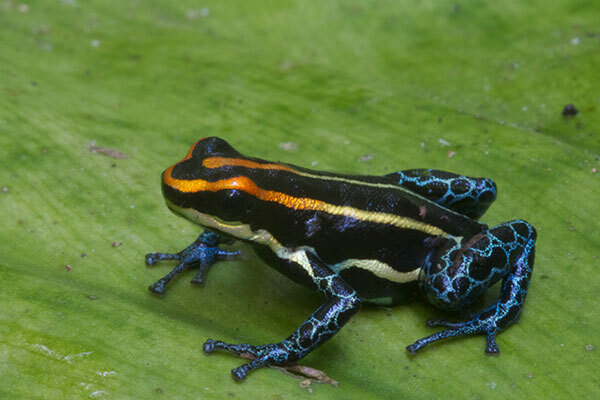 This genus of colorful toads has been ravaged by the chytrid fungus that has ravaged frog populations across the globe. 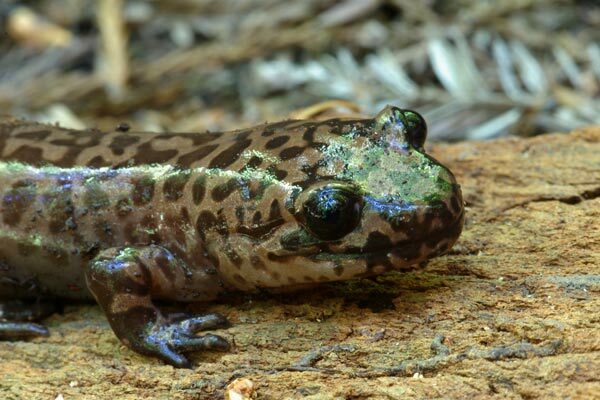 This particular species hasn't been hit as hard as most species in this genus, but these toads exist only in isolated pockets of very particular habitat and each one is a treasure of the rainforest. Ascaphus is in the most primitive family of frogs (Leiopelmatidae), which diverged from other amphibians over 245 million years ago. 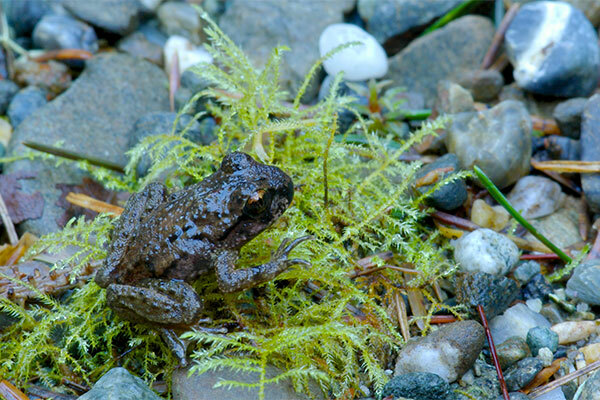 All frogs in this family live in New Zealand except this species and its Rocky Mountain cousin Ascaphus montanus. Very large, very cute, not a little bit space alieny.